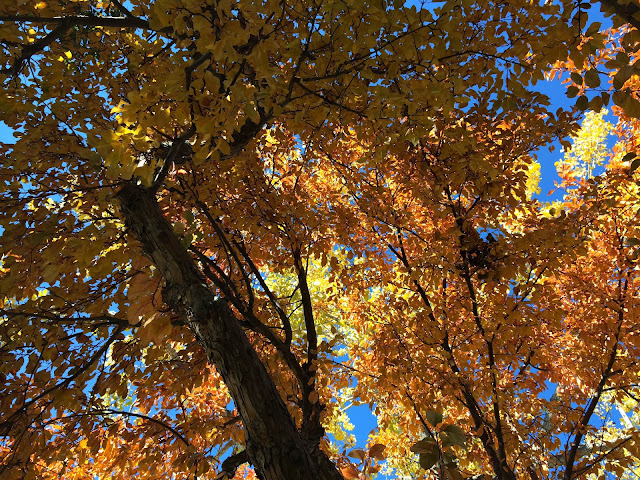 I love the fall! 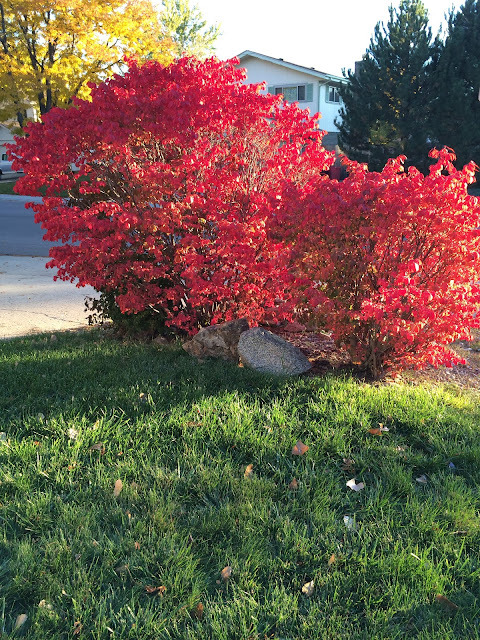 We've been pretty lucky this year to get some great color before the snow arrives and all the leaves fall off. 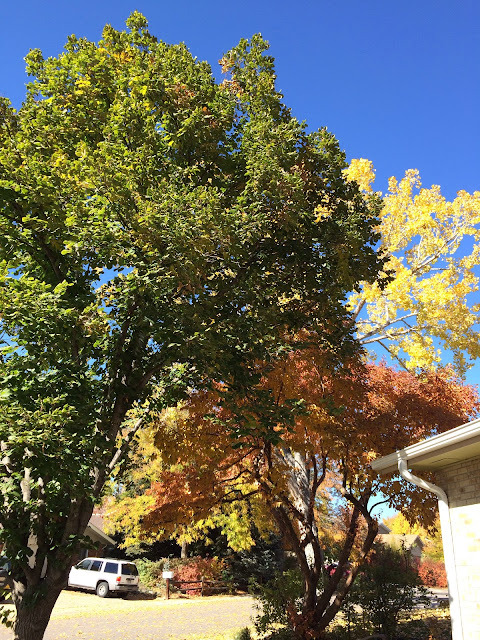 For some reason my linden tree is as deep green as it was in July, it makes for a great contract against the other trees though. 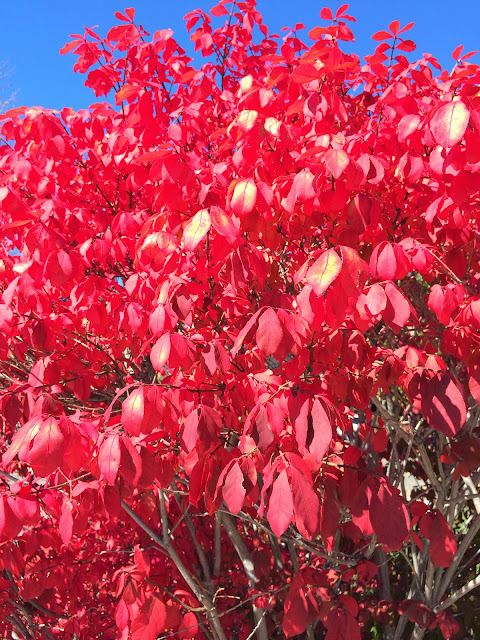 This is the first year I've noticed that one of our crabapple trees turns red, and it looks so pretty right now! 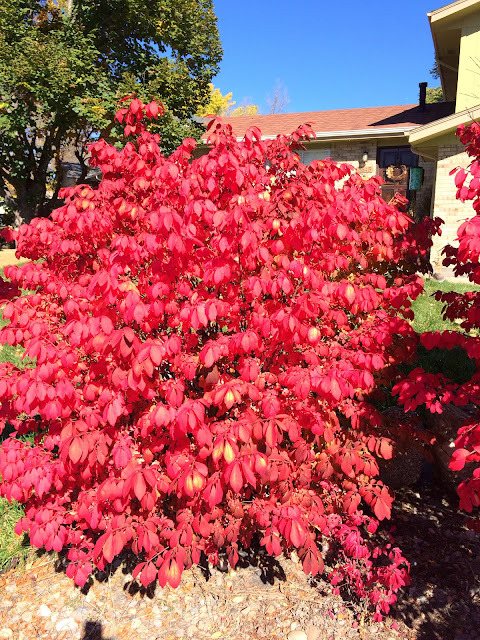 Our burning bush is at it's peak right now, which was the main reason for these pictures, is that amazing? 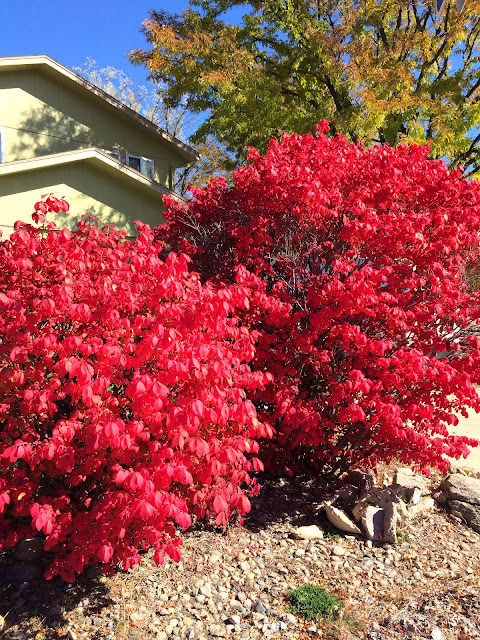 We had originally planned on pulling these out the winter we moved in, but we soon saw the following fall that these beauties are so gorgeous we will design our landscape around them! Oh and I can't remember a lawn being so green at the end of October, so beautiful this year!